We all know that good sleep is a crucial component of living a healthy life. It’s a part of the Big Three health factors — nutrition, exercise and sleep — after all. 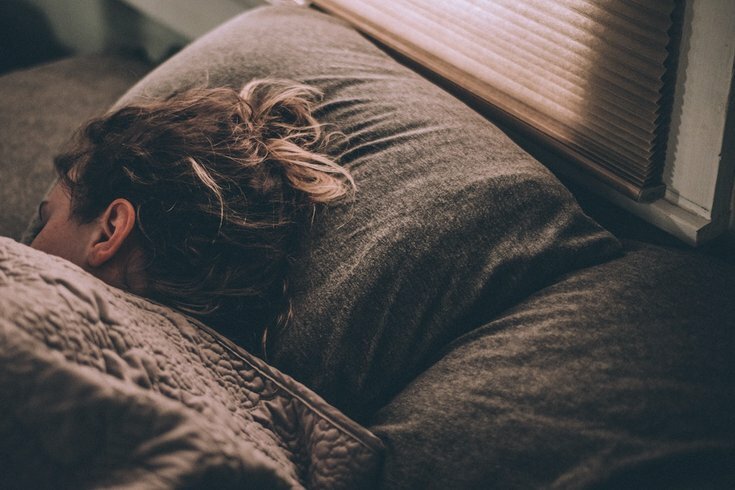 Not getting enough sleep regularly is associated with a myriad of health issues, including an increased risk of cardiovascular disease, according to a report published on Tuesday. More than a third of U.S. adults report insufficient sleep — defined as fewer than seven hours per day — according to the Centers For Disease Control and Prevention. In addition to the potential detrimental side effects of not getting enough sleep, it can also be downright infuriating and anxiety-inducing, leading people to try anything that will help them catch some ZZZs. Prescription sleep aids may seem like the cure-all, but some individuals hope to find solace in one of the many over-the-counter remedies promising relief from sleepless nights. One of the most common is melatonin, a hormone that's already produced in our bodies and known to regulate the sleep-wake cycle. When taken six hours before bed — when your body would naturally kick into melatonin-producing mode — the supplement may help you drift off to sleep more easily, Dr. Heidi Roth, a neurologist and co-director of the sleep clinic at the University of North Carolina at Chapel Hill, told Popsugar. Melatonin appears to be safe when used in the short term, according to the National Institutes of Health, but a lack of long-term studies means we don't know if it could be harmful when taken for longer periods. But Mayo Clinic reports that people are unlikely to become dependent on the supplement, which is a known risk with other sleep aids. • Decreased body temperature: Melatonin causes a slight drop in body temperature. While this is generally not a problem, it could make a difference in people who have difficulty keeping warm. Experts say there are other ways to raise your body’s melatonin levels naturally. A few hours before bedtime, simply dim all lights at home and limit screen time. Additionally, too much artificial light can reduce the production of melatonin in the brain, making it harder for you to fall asleep. And get lots of natural light during the day, especially in the morning. There’s also an herbal supplement that might be worthy of your exploration for a natural sleep aid: valerian root. Results from multiple studies indicate that valerian — a tall, flowering grassland plant — may reduce the amount of time it takes to fall asleep and help you sleep better, Mayo Clinic states. It is said to be the most effective after you take it regularly for two or more weeks, and although valerian is thought to be fairly safe, side effects such as headache, dizziness, stomach problems or sleeplessness may occur. “Medical evaluation for sleep problems should always come first," Roth told Popsugar. If melatonin is recommended, your doctor can help you determine the right dosage. The standard offering of three to 10 milligrams, as found in most drugstore bottles, is higher than most patients need.